Deadpool #60 comes out today September 5, 2012. A preview of this issue can be seen here. 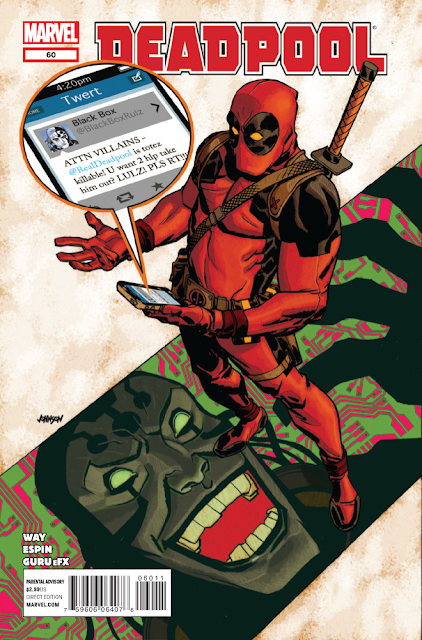 • First, ’Pool finishes off the Blacklist of Black Tom, Black Swan, and Black Box! • Then, more of his old adversaries return to haunt him… Starting with Hit Monkey!